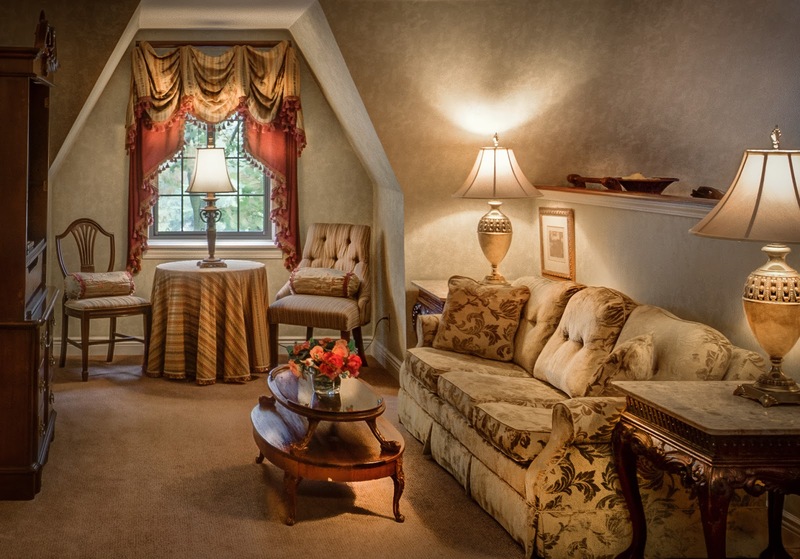 Did you know that the Red Coach Inn has 37 different guest rooms and suites? Each one is uniquely decorated to celebrate the old world English charm, the ambiance we offer throughout the whole property. Today, we welcome you to the Victoria Suite: an elegant apartment-style two bedroom two bathroom suite that offers 1,100 square feet of space to give you a feeling of home away from home. The Victoria suite not only has two bedrooms with queen-size pillowtop beds in each room and a sofa sleeper, it also has two spacious and beautiful bathrooms, living room and dining area, and a full-size functioning kitchen—perfect for a family on vacation or week-long stays. Did we mention you also get a view of the magnificent upper rapids of the Niagara River from the living room? By simply cracking your windows open, you feel the breeze and hear the roar from the raging waters! What an exciting sight from your own suite! Aside from the feel-at-home atmosphere, the Victoria Suite also offers a romantic ambiance for newly weds and honeymooners. After all, Niagara Falls is known as the honeymoon capital of the world, and we’ve got the Victoria suite for that! Our guests are welcomed with classical music as they enter the door, setting the mood for an amorous stay. 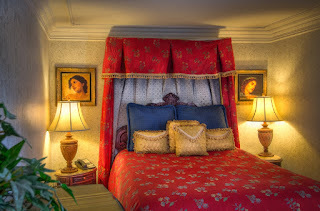 The decor of the suite also matches that old world charm that completes the romantic character of the suite. The Victoria Suite has welcomed not only families, vacationers, and couples, but also thrill-seekers. Yes, you read that right, thrill-seekers and ghost hunters. Our suite has been featured in several TV shows, online features, and ghost hunting series like Celebrity Ghost Stories. Just recently, a Youtube personality, Omar, from OmargoshTV visited us and stayed in the Victoria Suite. So there you have it! Whether you are in Niagara Falls for a family vacation, a romantic getaway, or a ghost hunting adventure, the Victoria Suite is perfect for any experience! If you would like to book the Victoria Suite, visit our website at www.redcoach.com or call our friendly front desk agents at (716) 282-1459. Here's a big shoutout to Omar! We would like to thank you for featuring us in his Youtube channel. It was our pleasure to have been able to accommodate you!